Sometimes it’s good to think outside the box. The Mozilla Developer Roadshow gave us the opportunity to get up close with developers in Singapore, Vietnam, Malaysia and Hong Kong. How do they work? How do they learn? And what are their local communities like? Let’s find out! A few weeks ago, Vitaly Friedman (co-founder of this little magazine) and I had the pleasure to join Mozilla’s Developer Roadshow, traveling through four countries in Southeast Asia in just two weeks. We visited cities that are buzzing with life and met people who share our passion for the web. Our mission: To get up close with the Southeast Asian web community. We wanted to learn how different local communities are compared to Europe and the US. What can we learn from them? And what feels familiar? These two weeks were incredibly intense and jam-packed with meetups, great food, and many interesting encounters with our fellow web dev friends there. So here’s a little recap of our journey to the Southeast Asian web community and some things we learned along the way. The first stop of the roadshow took us to Singapore. 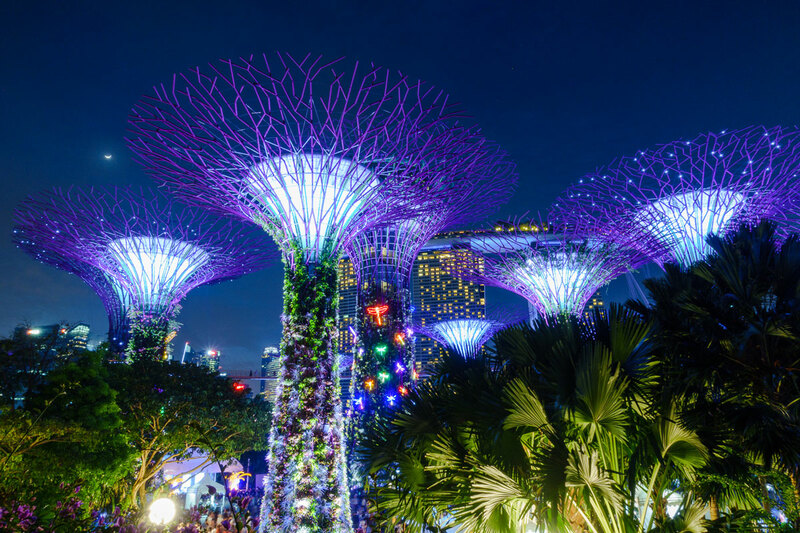 The World Economic Forum ranks Singapore on the first place of the top ten countries harnessing information technology, and its government is considered to be the most tech-savvy one, too. The tech community in Singapore is very vibrant, with multiple meet-ups happening every night of the week. To the point where attendees sometimes have to pick between the meet-ups they want to attend because they happen to fall on the same night. However, the audience is still relatively reserved, preferring to consume knowledge over sharing their own experiences and opinions. Companies often foster that culture, expecting employees to learn in their free-time instead of during working hours. In fact, that’s why conferences usually take place over the weekends as it proves to be very difficult for employees to get a green light during workdays. Many companies don’t provide training budgets for their employees at all, and attending conferences isn’t common. That might explain why there is only a handful of conferences taking place in Singapore, even though Singapore is recognized as the center of web development in Southeast Asia. Approximately 50% of developers in Singapore are expats from India, Pakistan, Malaysia, European countries, and the US. Although there are startups that offer perks typical of what the western world is familiar with, such as providing complimentary food and doing team activities, a typical developer's work life in Singapore is rather tied to traditional office spaces and very long working hours, especially if they are working in agencies or corporate offices. The market itself is quite closed, and methodologies such as design sprints, iterative design and agile aren’t practiced on a day-to-day basis in those workplaces. A good ol’ hand-off of Photoshop mock-ups to front-end developers still quite a common practice. As we were told, there are almost no clients from overseas working with agencies in Singapore, mainly because Singapore has the same pricing level like countries in Europe or the US, so that outsourcing work to Singapore wouldn’t bring any noticeable cost advantages. Our next stop took us to Ho Chi Minh City, also informally known as Saigon. The city is, alongside Da Nang City, one of Vietnam’s tech hubs — although much smaller as what we got to know in Singapore. Vietnam is one of the common destinations for outsourcing in Asia. Unlike in Singapore, companies often have close ties with international clients, including companies from Singapore. What makes the development scene so attractive is that they don’t feel like they are on the boundaries, and are steadily pushing forward. In conversations with locals, it’s interesting to observe how the industry in Vietnam leapfrogged some technologies. Some developers writing React apps have never used jQuery, and some developers never had to deal with quirks of legacy Internet Explorer. While many websites feel remarkably slow and bloated, a good number of websites is snappy and fast, as they are heavily optimized for unstable connections in Vietnam. Ho Chi Minh City has only a couple of small and occasional meetups, often attended by no more than 20 people. However, amongst this small community, there’s a strong sense of sharing. A senior web developer in Ho Chi Minh City can make up to USD 1,000 a month, a salary which is considered a really solid income in the city (and in Vietnam). However, that doesn’t leave much budget for sending a developer to conferences and workshops in, e.g. Singapore, and developers often have to spend their free time to keep up with the newest developments. Half of the developers we spoke to prefer to work on a freelance-base, and many developers are trying to move to Singapore as salaries are much higher there. The language barrier is quite high so that many Vietnamese developers have problems with spoken English, which doesn’t make it easier to communicate abroad. In fact, many companies who are outsourcing their work to Vietnam do employ a foreigner who acts as a mediator between clients and co-workers. It felt that local developers take on every project coming their way, and then figure out how to get things done — learning and experimenting over nights and weekends if necessary. They take what’s out there, soaking in anything that can help them learn something new. The web industry has experienced a huge boom in the last five years, and success stories as the one of the game Flappybird which was developed by a Vietnamese developer brought a gold-rush mood also to Ho Chi Minh City. Although George Town, the old city of Penang, Malaysia, is a mainly touristy city, it also hosts a rich startup culture with a great variety of companies. The startup scene is mainly driven by locals, and the Malaysian government has launched a couple of programs to support startups throughout the country. The local startup scene in Penang is being complemented by a few expats from Europe and the US who have chosen Penang as their home base to work with clients from overseas. Not only is Penang an affordable city to live in, but also because English is a commonly spoken and written language in Malaysia, so that communication is not a problem for foreigners. The Malaysian government also has introduced PHP as a mandatory part of training at many high schools. Getting started with PHP and Wordpress hence is the main entry point for developers to become a full-stack developer and do pretty much anything from Wordpress templates and a bit of design work to deploys, backend optimization, and SEO. Many developers also have already experimented with service workers and CSS Grid layout, and they try to keep track of what’s going on in React community as well as what they need to know in the wide field of web performance. Also noticeable is that the Penang community is making efforts to support women getting started with their own businesses. The startup hub and co-working space @CAT, for instance, has a dedicated space for female founders. Hong Kong greeted us with its bustling city life where modern skyscrapers and blinking neon signs meet narrow streets which have conserved their unique character from earlier days. Being a major international financial center, it’s not surprising that many developers work in the financial industry — for big banks like Credit Suisse, HSBC, or Merril Lynch, and others. Many of them are expats from Europe, particularly the UK, but also from Japan. Some of these banks host huge development departments — having more than 200 people working in a department isn’t unusual. Sure thing, Hong Kong is thinking big, but there are also a lot of small design agencies based there. But since designing websites is often just one part of the design work they do, agencies tend to work with freelance web developers quite often. One thing of the trends we’ve seen in other Southeast Asian countries seemed to be really strong in HongKong: not only do web developers earn much more than designers; they also seem to have a much better reputation and place in the society. As designers and developers, we take a lot of things for granted — our processes, habits, and techniques. But even when we’re stuck in our routines and deeply rooted in our local communities, we should remember to take a look around every once in a while. Nothing could be more inspiring as seeing how others work on that big playground that the web is. After all, we all share a common goal, no matter where in the world we might be coding, prototyping, designing and tinkering: to make the web a little better place every day.